Get the Momfluence widget and many other great free widgets at Widgetbox! This is a Sponsored Post written by me on behalf of RealTruck.Com. All opinions are 100% mine. Spring is here and it's a great time to enhance your car or pickup truck. RealTruck.com offers a huge selection of car and truck accessories to help customize and upgrade your vehicle. RealTruck.com offers the hottest car accessories and truck accessories for Chevy, Ford, Dodge, GMC, Jeep, Mazda, Nissan, Honda, Mitsubishi, Toyota, and Isuzu cars and pickups. Offering automotive and custom truck accessories for virtually anything you need to dress up, modify, enhance or upgrade your car, sport utility vehicle, cross over vehicle or truck. From the under the hood engine performance to your car and truck exhaust system, as well as, accessories for your front bumper, grille, hood, side windows, truck bed, tailgate, seats, dash, floor and more, RealTruck has it all. Whether you are looking for a truck bed cover to complete the look of your truck or a truck rack to increase your function, RealTruck has all the top brands including Access, Dee Zee, Westin, Weathertech, TruXedo and more. Some of the products you will find include bug shields, mud flaps, nerf bars, performance chips, truck exhausts, air intakes, hitch steps, nerf bars and more. Plus, RealTruck has a 1 year low price guarantee, fast shipping, genuine customer service, easy returns, deluxe part finder and secure shopping. Improve your ride at RealTruck.Com. After much deliberation and manuevering, I have gone off the deep end and bought my own domain name and moved all of my posts over there. I will no longer be posting on this blogspot site as of today. If you subscribe to me in a Reader you will notice no difference (until you are nice enough to click through and leave a comment). But if you come here directly, you will need to now go somewhere else. 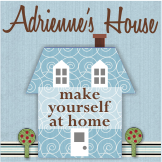 http://adrienneshouse.com/ or just click on the button below. ps. For family, I have updated the link on the blogroll on my mom's blog. 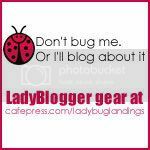 If any of you have me in your blogroll on your blog please update that as well. Thanks! The responses varied. One claimed that she was simply looking forward to being able to wear non-maternity clothes for the first time in a year. One agreed but had been afraid of the ire of the mommy bloggers to broach the subject himself. Another seemed to think it is ingrained in us and that is what I tend to believe as well. For the record, yes I did ask Crocs to provide me with a free pair of shoes and I would espouse their wonderment. Some seem to think this is a two-faced act based upon my statement. But I clearly put myself in the same group as everyone else, as I too am wondering if what I wear to each party will help me to "fit in". BlogHer was rough for me last year, and I have repeatedly vowed to myself that I won't let that happen again. That I won't let myself think other's are more deserving than me, that I don't fit in or belong in their company because my blog is small. But then I see tweets and blog posts about all the new clothes and shoes and hair do's and manis and pedis and waxing that so many are doing and I think, really? Why, can't we all just be the same person we are online? What initially started the feeling of "amazement" for me was the fact that Tim Gunn of Project Runway fame will be at BlogHer this year (as will Carson Kresley from Queer Eye). It put women into a tizzy over what will Tim Gunn think of their outfits. On top of that there is a contest on the website to put up your pic of what you'll be wearing. Again, a conference that is supposed to be empowering women, is focusing on clothing and looks. When will women be respected for everything but their looks? Will they then feel insulted that someone didn't notice their new harido even though they praised them on the vaccine they created? Recently, Megan was putting on makeup in my car and asked me why I didn't wear any. I told her I didn't need it. She asked if I didn't want to "feel pretty". I told her that not only did I feel pretty but I knew I was pretty. She countered with but make up makes you feel even prettier. Having that conversation made me sad. Sad that girls are still feeling obligated to "feel pretty". Erin had a quandry not too long ago regarding shopping with her daughter, she has always taught her to be independant and know that she can do anything her brother does, that their gender has nothing to do with who they are or what they can become. 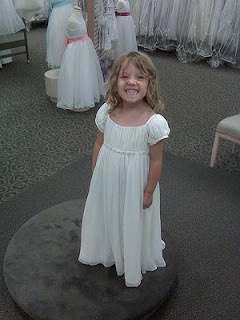 However, her daughter asked to "go shopping like girl's do", and it threw mom into a tizzy. Is she failing as a feminist if she enjoys a girlie shopping day with her daughter? Does it make her a proponent of female stereotypes? No, it makes her a mom. I guess, we just all need to pick and choose who we are and who we want to be. And if that means, you wear make-up to make you feel pretty, or play dress up to feel girlie or go for tea lunch and shopping to bond with your daughter, then so be it. Speaking of dress up, how freaking cute is Caity? Last night on Twitter, a family that is on the return journey of a cross country car trip had brake problems Northeast of Las Vegas near Mesquite. At 11:30 pm the Mom put out a tweet for help "Anyone know where I can find a mechanic on Sunday just northeast of Vegas?" A few of us jumped at the call and started googling and finding them some help. If only auto body shop corona had a brake shop websitethat listed all the brake shops in a given area like they list auto body shops, it would have been even easier. Lucky for them they found a Pep Boys and all is well, they are back on the road and on their way home. Summer is in Full Swing with PBS KIDS®! Driving to Grandma’s house? Or have an exciting getaway in store? Here are some great FREE ideas courtesy of PBSParents.org to keep kids of all ages engaged during family trips! o Take turns playing games with your child. Find something inside or outside the car and have your children guess what you see by giving hints. Explore the world like Sid the Science Kid! o Invite your child to be an "alphabet detective" by finding all the letters around them. Players might find an "a" in a road sign and a "b" on a license plate and more – take a page from the Super WHY gang and have fun with the alphabet. o Use "car time" to talk to your child about everyday activities and events, whether it's how leaves change color in the fall or what makes a great friend. Maya and Miguel know that happiness is the greatest when it’s shared! Plan an awesome “stay-cation” and keep your kids happy with a few of these summer fun suggestions! o For preschoolers, slip on your sneakers, pack water bottles and hit the trail! Make the adventure even more fun with a kid-friendly scavenger hunt in search of things you might find along the way. o For school-age kids, set up a tent in your own backyard, roll out the sleeping bags and melt marshmallows in the microwave to make s’mores. No need to send kids to sleep away camp to get a taste of the great outdoors. o For everyone, make some popcorn, snuggle up and tune in together to PBS KIDS and PBS KIDS GO! When I was growing up we were always a camping, hiking, outdoorsy kind of family. We didn’t do big summer vacations, we did camping trips. We have visited every waterfall (and trickle) in the state of Michigan and surrounding areas. We’ve climbed the sand dunes, sang campfire songs and even played checkers with the Black Bears at the dump (Hi Limpy!). Since I got all of that out of my system before I had my own children, I never did it again. Thankfully, Marisa went camping with Girl Scouts (and Kathy) and Adam went with friends from Baseball. So now when I think of binoculars I think of going to baseball games and using them to check out the celebrities in the crowd and getting a close up of Andre Eithier (GO DODGERS!). But even if you are not using binoculars for an “outdoorsy” reason doesn’t mean you don’t want to use the best. And when the best is eco friendly as well, then of course, it is a no brainer. The Nikon Ecobins 10x25 binoculars are designed from top to bottom with the latest eco friendly features while still maintaining the highest level of optics that make Nikon world-famous. The Ecobins binoculars feature Eco-Glass lead-free and arsenic-free lenses and prisms. Additionally, only non-chloride rubber and no harmful inks or dyes are used during production. The carrying case and the binocular strap that come with the Ecobins binoculars are made from a fully biodegradable Lenzing TENCEL fiber. The TENCEL fiber is derived from wood pulp of sustainable eucalyptus forests and utilizes an innovative manufacturing process with minimal waste. Even the packaging of Nikon Ecobins is environmentally friendly! The product box is constructed from recyclable Fiber Stone paper. This paper is completely Tree-Free and is made from limestone collected as waste material from existing quarries for the building and construction industry. Production of the Fiber Stone “paper” uses no water or bleaching chemicals and releases zero pollution into the air. Following the Nikon standards, the Ecobins 10x25 binoculars’ compact, rugged, waterproof and fog proof construction provide total confidence in any situation. Other premium optics features include a spherical eyepiece lenses that provide distortion-free viewing, internal blackening to minimize light loss and multi-coated lenses that offer maximum brightness, contrast and true color. So when you get down to it, why not use the Nikon Green Binoculars when you are trying to catch a glimpse of Manny Ramirez in the outfield, or Alyssa Milano in the stands. Hello Helicopter, are you here to stay?